Our website automatically lists our vehicles with a warranty. This vehicle does not qualify for our warranty program and is therefore being sold AS-IS. Looking for that perfect SHOW or GO car? You just found it ! 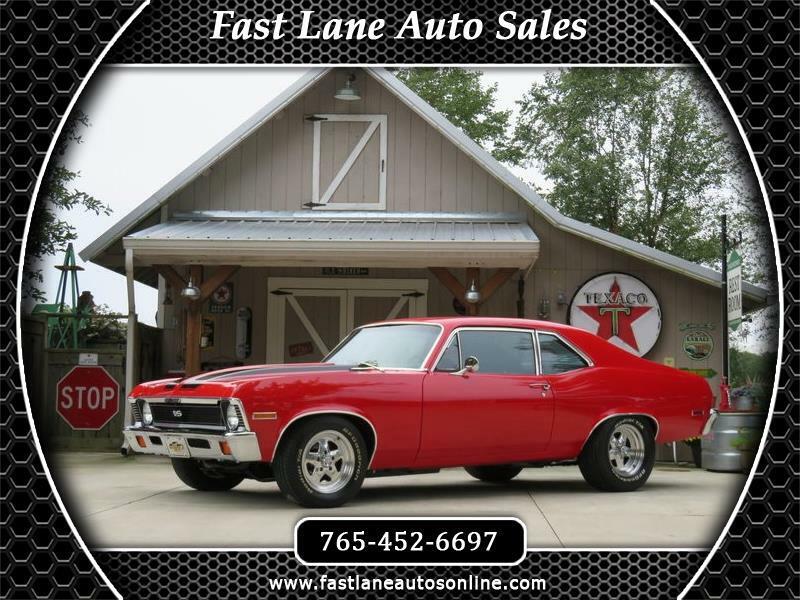 Featured is a 1971 Nova SS clone. Engine is a sb 350 with a mild cam. 350 turbo transmission with a mild shift kit. 10 bolt rear end. Recent upgrades include: New tubular "A" arm suspension with QA-1 coil over shocks, chrome master cylinder/booster combo kit, all new stainless steel brake lines, drilled and slotted rotors w/ painted calipers. Interior is new and flawless. Tach, gauges, and stereo are new. New tires, wheels, and bumpers compliment the red paint. Awesome sounding dual exhaust ! Way too many new parts to list in this ad. You can drive this car anywhere. For further questions, please call (765) 452-6697 or my cell (765) 432-3650 to schedule an appointment to see. (This car is stored 6 minutes away from the lot in a heated garage. ) Our website automatically lists our vehicles with a warranty. This vehicle does not qualify for our warranty program and is therefore being sold AS-IS.